Non-medication approaches to depression during pregnancy include: psychotherapy (including cognitive behavioral therapy and interpersonal therapy), mindfulness, exercise, yoga, acupuncture, high intensity light, and repeated transcranial magnetic stimulation (rTMS). 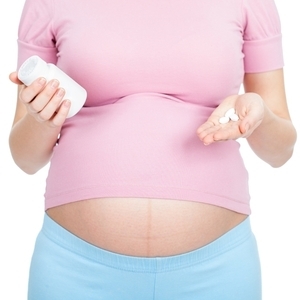 Nutritional supplements including folic acid, vitamin D3, and omega-3-fatty acids can also be helpful. The risks of hospitalization for postpartum depression are 23 times higher in women with a history of depression than in women without such a history. Babies born to women experiencing postpartum depression are at risk for: low IQ, developmental lags, ADHD, other behavioral problems, and psychiatric illness. Almost all antidepressants are safe for use during breastfeeding, but sertraline appears to be best, as blood levels in the newborn reach only about 0.5% of maternal levels. Medications of minor concern during breastfeeding include clozapine and benzodiazepines, because they may cause sedation, and lithium because it requires monitoring of thyroid hormone levels and kidneys. Editor’s Note: The postpartum period is a high-risk period for women in the general population, who have about a 13–20% risk of depression. All women in the general population should be screened for depression after giving birth, and should receive an increase in support even if depression is not present. Women with a history of depression are at even higher risk for depression, and strategies for treatment and increased support should be explored before the baby arrives.